Armando Piccinini's father was gunned down outside a bank 16 years ago, but now the 53-year-old is a gun-ownership advocate who says weapons are self-defense necessities in crime-ridden Brazil. 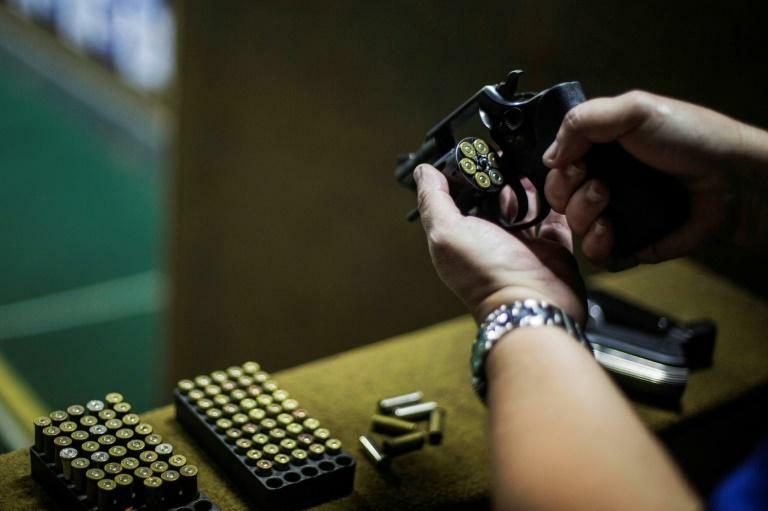 "Rio is on the brink of civil war, and it will soon be declared," said businessman Piccinini at the Calibre 12 shooting range in Niteroi, near Rio. "Good people will arm themselves to defend their families, their property, and this war will be declared if the authorities don't do something." Legalizing gun ownership has been one of front-running presidential candidate Jair Bolsonaro's campaign pledges. And it has gained momentum since the right-wing former army captain was stabbed during a rally in the southeast on Thursday. "If it wasn't tragic, it would be ironic," said Rildo Anjos, 52, one of the Calibre 12 instructors. "A pro-gun candidate suffering a kitchen knife attack; it just proves that it is man, not guns, that is guilty of violence." "I don't think the way to solve the dramatic problem of a country with more than 60,000 murders a year is to distribute guns," says Marina Silva, the environmentalist presidential candidate currently running second alongside centre-left nominee Ciro Gomes in polls, behind Bolsonaro. "On the contrary, this would increase violence." But Bolsonaro's campaign seems to have been boosted by his stabbing. He's been all over television and the internet, giving him a huge profile lift. "We're all behind Bolsonaro," said Paulo Alberto, 55, one of 210 Calibre 12 members. "Today, the criminals are more numerous and better armed that security forces," he added, gun in hand and wearing protective glasses. "I live close to a favela and I've been woken up by gunshots. When you leave the house, you don't know if you'll come home. "We good citizens demand the right to defend our families and our possessions." A 2003 law in Brazil tightened the regulations over gun ownership, something Bolsonaro wants to revoke. His position has caused a number of scandals, such as in July when he appeared in a viral video seemingly showing a young girl how to imitate a gun with her hands. 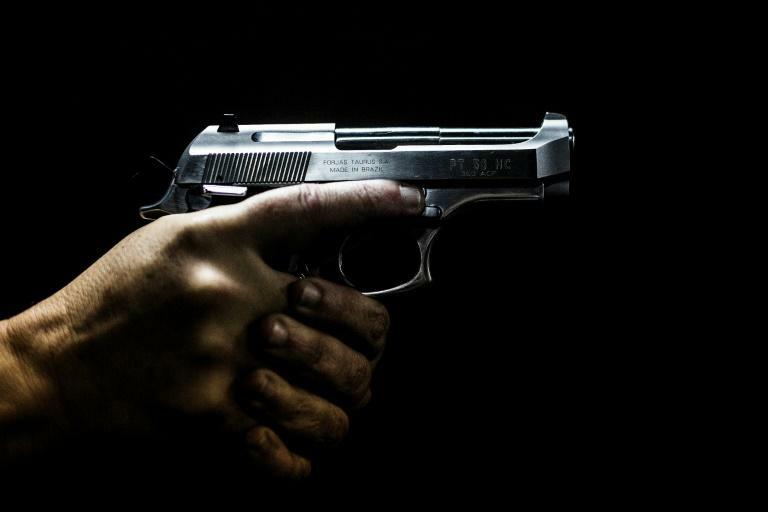 "Kids in Brazil need to view weapons as something linked to responsibility and the protection of life," he told O Globo newspaper in justifying his actions. Such statements turned Bolsonaro into a target for many of his rival candidates, but those at Calibre 12 agree with him. "My son is here," said Anderson Lessa, a 46-year-old shopkeeper, pointing to a teenager. "I've taught my three children to drive, swim and shoot. For me, that's a basic right." Piccinini says: "There's a family atmosphere here." It's the "only tourist business in Brazil that promotes excursions in which you can have your first contact with a gun." To buy a weapon in Brazil, you must be at least 25, present proof of psychological and technical aptitude, and a "statement of necessity," explaining why you need one. "The statement of necessity is the biggest lie in the world," said Anjos. "Do I need a statement of necessity to buy a car?" As for guns, it's "because I want to protect my biggest asset, which is my life!" Anjos agrees that people need training to learn how to use a gun but claims the 2003 law has done nothing to reduce violent crime. That's not the opinion of the "2018 Atlas of Violence" prepared by the Institute of Economic Investigation and Brazilian Forum of Public Security, though. It claims that but for the 2003 law, the murder figures would be worse. Alberto says the 2003 law prevents "good citizens from the right to legitimate self-defense, as guaranteed in the constitution." "They've taken away our main form of defense. It's ended up favoring criminals," he insists. When asked if anyone has ever needed to use their gun in the streets, the Calibre 12 members laugh uncomfortably. Then one voice answers: "No one likes to talk about that."